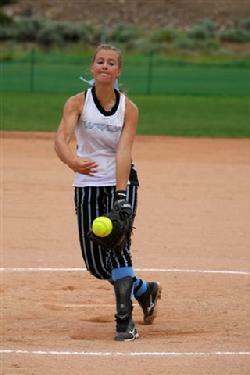 Fastpitch Softball Lessons, Pitching, Hitting, Catching, Fielding and Throwing. Softball Lessons with Instruction from Candice Einspahr and Colorado Fastpitch Academy. Colorado Fastpitch Academy is a company designed specifically to introduce girls of all ages to the wonderful world of Fastpitch Softball. The website is provided by the owner and Head Instructor Candice Einspahr. This website is dedicated to helping Pitchers, Hitters, Catchers and Fielders improve their skills and become better all around athletes. Whether you have been playing softball for a long time or are just getting started, this website is here to help. Here you will discover several pages of information and recommendations about throwing accurately and with tremendous speed. You will also find information on all pitches, Fastball Change Up, Slider, Screwball, Drop, Curve and Rise. If you have any specific questions, feel free to send us an email or give us a call. Learn all the fundamentals of proper blocking, framing, squeezing, holding, throwing and catching. Here you will learn about the proper way to hit for Fastpitch Softball, which is different from baseball- a lot different. Learn the basic technique and the importance of proper feet position and location in the box. This website will inform you about proper fielding techniques and the quickest way to throw using your whole body and with out hurting your arm. Feel free to contact us with specific questions, send an email to SoftballCO@gmail.com or call (303) 809-1502.